Costa solarenga de Portugal - Cascais, vivenda perto das praias e montanhas. I had such an incredible time at this house. Came back for the second time last week. The house is always so welcoming, bright, clean and comfortable. The kitchen couln't be better. Cooking while looking to the garden, the pool and the beautiful green outside is a picture perfect scenario. The pool is a great size for big and small. I had a terrific time with my 5 and 10 year old. The rooms are big and the beds are very comfortable. The house is wonderfully decorated. Great paintings and art book/magazines at hand. The owner is very proactive and ready to be of help. 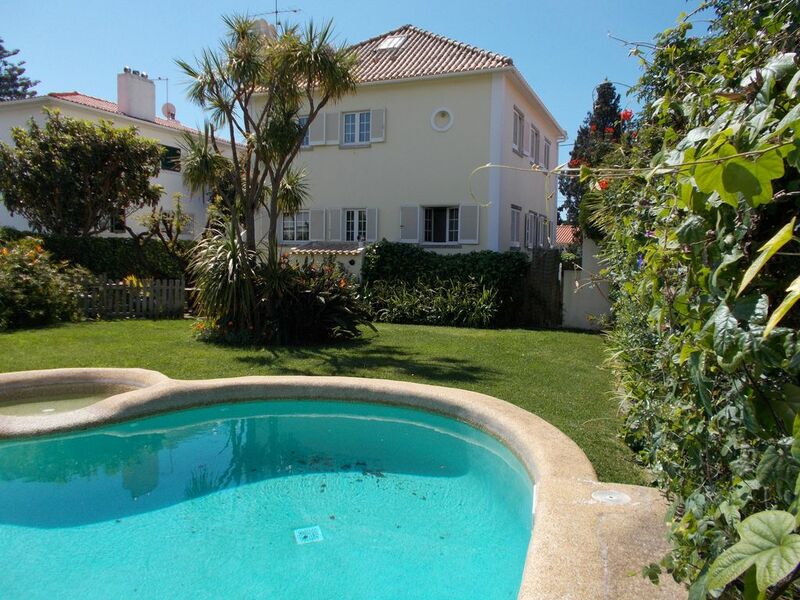 You have great access to the surrounding beauties (Lisbon, Sintra and beaches). I certainly recomend this house and hope to return soon! Nous sommes tous satisfait de la location, Vicky a était une hôte géniale !! Elle nous a très bien accueilli, elle nous a laissé un plan avec tous les services présent autour de la location. Je recommande a tout le monde cette location.